It has been a while since I photographed “things from around the house,” so I thought I’d do this one tonight. 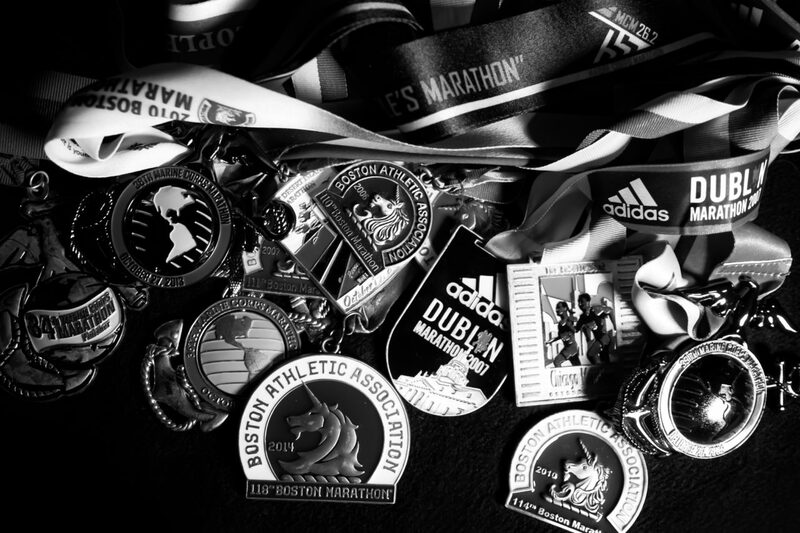 There are a lot of memories wrapped up in these medals. I’ve been a runner since my early 20’s. And over a stretch of about 23 years I ran 40 marathons and ran across the United States as part of a 10 man relay, raising over $300,000 for charity. Running has been a very big part off my life, and even with my marathon days behind me, remains so.